This morning we had the pleasure of experiencing a different side to Orlando, with Orlando Lake Tours! Steve our guide and captain for the tour was both informative and funny throughout, with a detailed history about the area, wildlife, homes and the families that live on each lake. 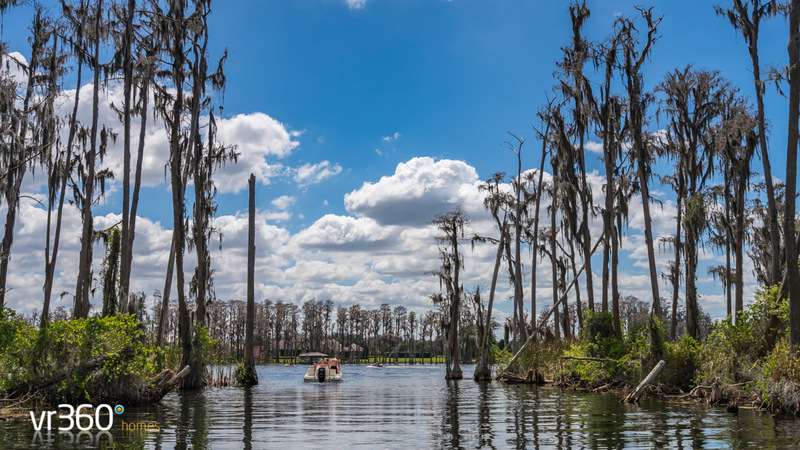 Based on the Butler chain of lakes this 1.5 hour boat tour takes you through pristine waters onto huge lakes, with amazing scenery, wildlife and a back drop of some of the most expensive real estate in the area! 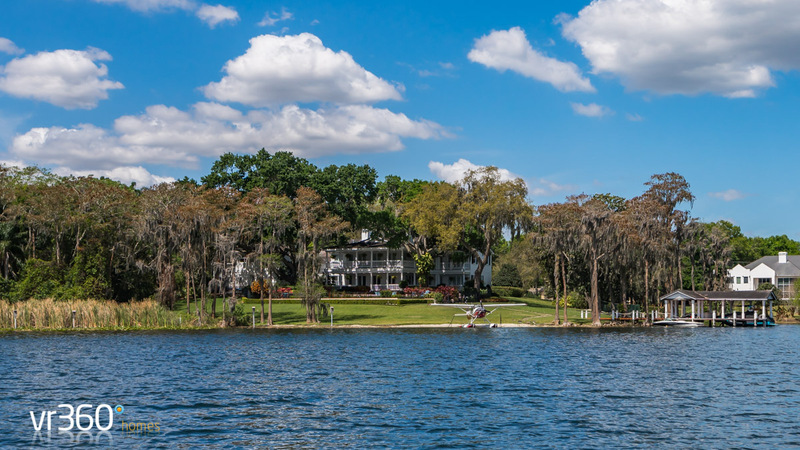 The Butler Chain of Lakes consists of 13 land locked lakes and covers almost 5,000 acres, you will see Lake Isleworth, Lake Louise and Lake Butler. 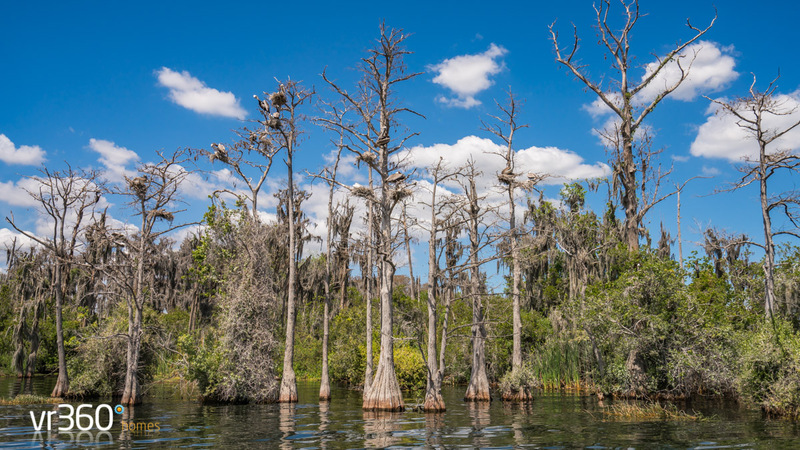 These lakes are linked by narrow canals that weave through protected Cypress Tree’s covered in Spanish Moss. It’s reported that this Spanish Moss was once used to stuff mattresses, ever heard of the saying “don’t let the bed bugs bite!”, that’s why! 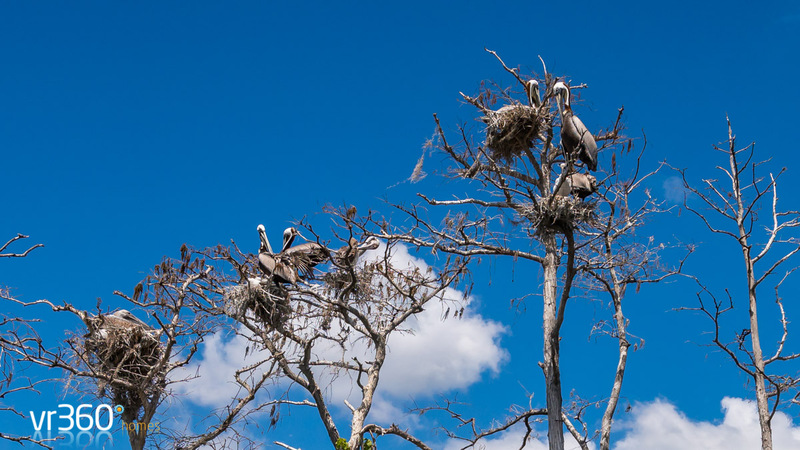 During your trip you also glide past Bird Island, today we were lucky to see both Osprey’s and Pelicans sat on nests with chicks! Other wildlife that has been spotted includes Alligators, The Snowy Egret, Bald Eagles, Hawk Owls, River Otters, Turtles, Raccoons and Armadillos. A constant back drop to the tour are the jaw dropping multi-million dollar properties and the stories of the people that have owned them. Including sportsmen like Shaquille O'Neal and Tiger Woods, celebrities and families that own everyday brands like Pepperidge Farm and Campbells! 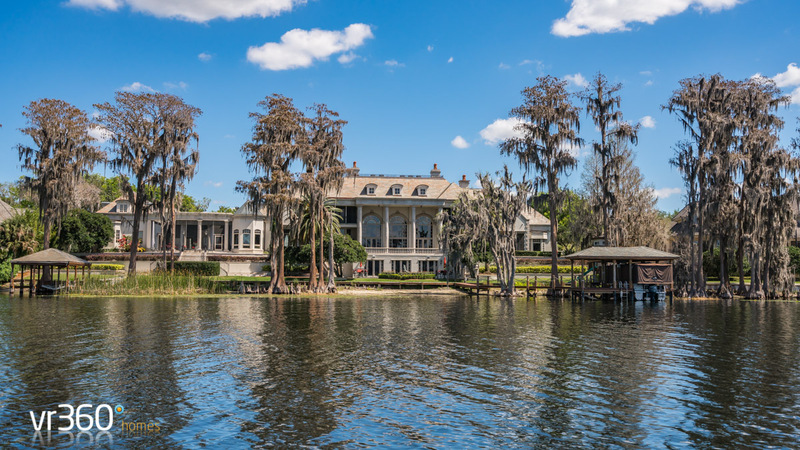 The largest home on Lake Butler is named Versaille, a 91,000 sq ft property that is currently under construction and is reported to be the largest private residence in America, and includes 10 kitchens, 31 toilets and a ballroom that can seat 500! I would highly recommend this tour and at $25 per adult and $15 per child (under 10) is excellent value for money. I’ve been on several boat tours in the Orlando area, and must say this ranks the highest for comfort! 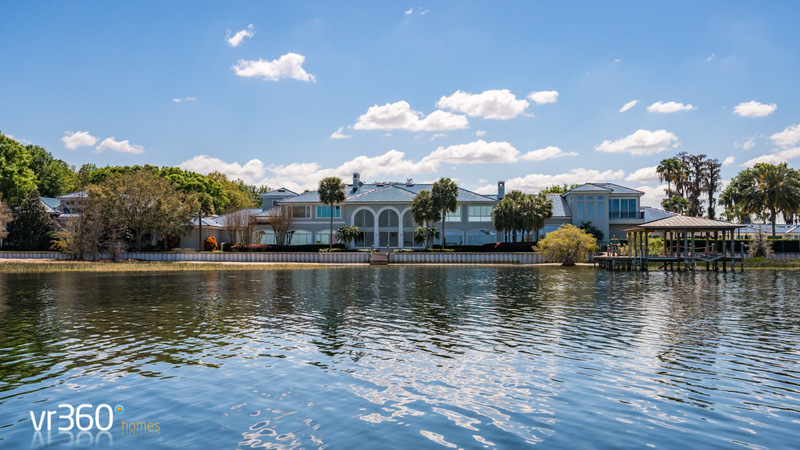 Big squishy seats for 10 offers plenty of space within the 25 foot pontoon boat, whilst shades above ensure comfort and protection from the Florida sun. The easiest way to reach the tour is via the 429 Toll Road, you will need some change to travel the road, as some of the booths are unmanned. Take a left onto Chase Road, follow this road around to the left, RD Keene Park is located on the right. Drive to the very rear car park and park on the right along the fence. Walk to the slipway behind you to be picked up for the tour. 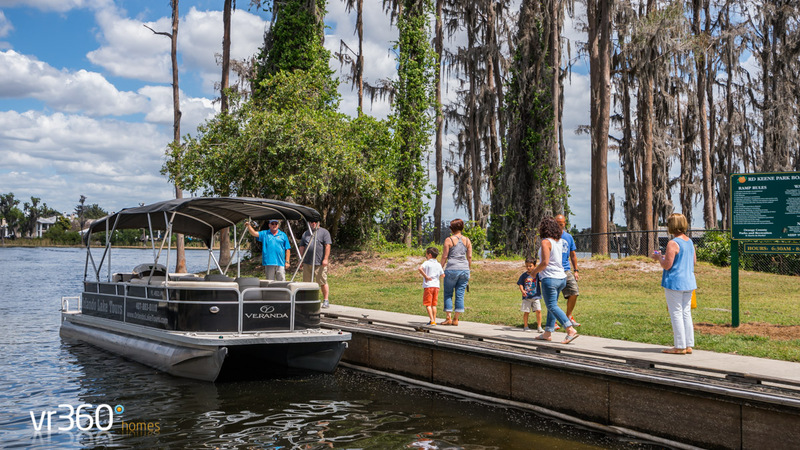 If you have been on the Butler Chain of Lakes boat tour let us know what you thought?